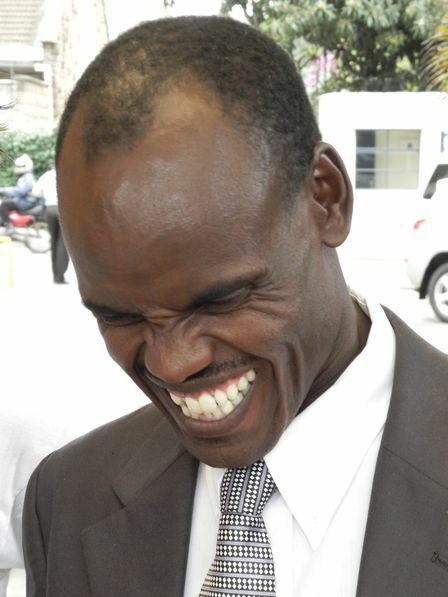 While we at Kimbia feel the sharp sadness of Paul Koech’s passing, we continue to be inspired by his integrity, conviction, and quiet humbleness. 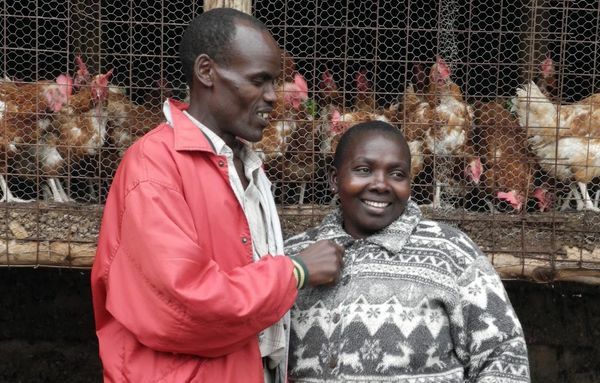 Koech (pictured above with his wife, Zipporah) was a much-loved figure in the sport, one known and respected far and wide for his achievements on the track but more so for his kind, compassionate behavior off it. In running, as is the case in life, the best ones dress simple, keep quiet, and work hard. Major Paul was one of the best: 26:36 in Brussels, 12:56 in Zurich; the man could positively haul. Some of us would create bona fide monuments around those times; hang-the-lucky-singlet-over-the-mantle kind of things. But to Major Paul, those impossible times were but numbers; to flash briefly on a scoreboard, smile at while cooling down, and then forget about. For as Major Paul knew, life is about so much more than PRs, and miles logged. When I think of Major Paul, I think of him in his worn, red Bata flip-flops, a pair of “smart trousers” and a loose fitting button-up. (I suppose just about everything was loose fitting on Major Paul; just like he was impossibly fast, he was always impossibly fit..). When he was home on his farm with Zipporah and his children, he seemed to love the simple things: checking on his chickens, chatting with the manure guys, and drinking chai. I love to think of Major Paul in his favorite lawn chair, pouring Zipporah another cup of chai saying, “chai, chai, chai,” to himself; just in pure celebration of tea’s existence. Major Paul loved his chai. Whenever you drank chai with Paul, he had this great habit of filling any silences with some single word that summed up whatever it was that you had last been talking about. For instance, if you’d been talking about running, after a few seconds of total silence he’d cross one leg on top of the other, flutter his flip-flop for a second, and then look off into the distance toward Eldoret and say, “sport…” or “training…” and then just let the word hang for a moment. I would love to have known what Paul was thinking during those pauses. 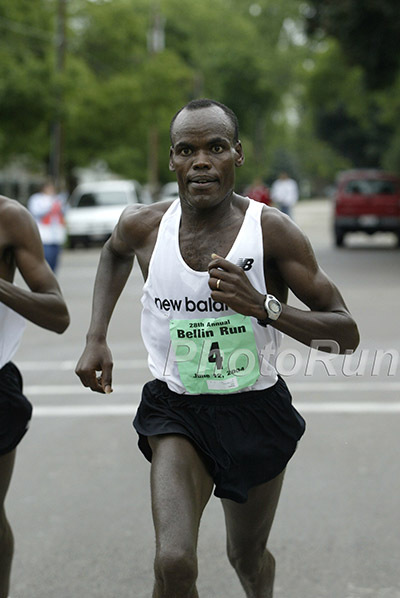 Kenya has produced hundreds, if not thousands of world-class athletes in the past few decades. Anyone who’s spent any time in the Rift Valley Province will tell you that the talent is deep. But I think Major Paul would be the first to remind this generation of Kenyan talent that being an athlete is a responsibility, and wearing one’s national kit is an honor not to be taken lightly. I think it will be some time before Kenya, or the world sees an athlete and human being so authentically righteous as Paul Koech. My prayers and thoughts are with the Koech Family at this difficult time! I met Paul in the lobby of the Copley Plaza Hotel[ Boston Marathon weekend] when a good friend of mine Bob Gusmini was hosting Paul at his home in Somerville. Paul was being honored at Harvard University that weekend! A “great athlete” but a “better human being”! Paul will be missed by all that “crossed paths” with him in his 49 years! Rest in peace my friend! I will remember him for the time we spent together, When I was young and starting my career I didn’t have a place or shelter Bethe gave me both, for 4 years he used to tell me you will make Son .He was simple and humble person. I will surely miss him. May God Welcome Him to Heaven!Had been thinking about Him lately because of what He did in cross country many years ago.Never did I knew he was sick and now He is gone to be with God.I knew Him through his younger brother whom we trained together at the athletic training camp in Kaptagat.Rest in Peace Brother!!! I am in shock as I read this sad news. Paul was an inspiration to countless numbers of school children at the Carlisle Elementary School. He taught lifelong lessons to the children, their parents and the staff.Rest in peace. Rest in peace comrade. My boss, A friend, training partner, a man whom we shared a room for the years we trained in Boulder. I can’t believe you are gone. In God’s harms you rest, in our hearts you live forever. May the good Lord comfort the wife and the kids, may His unfailing peace and hope rule over their hearts.